While everyone is agreed on the importance of patient-centric pharma, just one fifth of industry insiders said they knew “how” to achieve it. So, how do we close the gap between appetite and action? 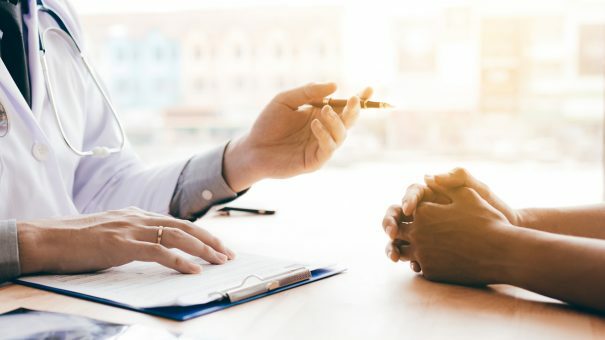 Encouraging staff to connect with their purpose is the key to building true patient engagement in pharma, argues a new report. The Path to Patient Centricity: Closing the ‘How’ Gap, is based on The Aurora Project’s Second Annual Patient-Centric Benchmark Survey. It found a deep belief in the importance of the patient voice revolution – at the same time as uncertainties on how to move the revolution forward. Of the 1,282 participants, 91 per cent said patient-focused missions were important, yet just 22 per cent of pharma and medical device company employees said they knew how to properly engage with patients. “There is a need for patient-centricity and an appetite for it among those best placed to make it happen. The question that remains for pharma companies is ‘how’ best to be patient-centric,” said the report. The answer, it claims, is tapping into employees’ sense of purpose. The survey found that 76 per cent of workers were confident that their company was “making the world a better place” and 81 per cent were proud to tell people outside the industry what they did for a living. So connecting them to the patients they seek to serve reinforces that sentiment and leads to new ways of “doing” patient centricity. When empowered to make that connection and encouraged to talk about patient-centric ideas, staff are “re-energised and inspired,” said Christi Shaw, senior vice president of Eli Lilly and president of Lilly Bio-Medicines. “I’m not directing the teams to be patient centric, I’m enabling them to do what they’ve always wanted to do,” she said. The proof is in the pudding, according to Jill Donahue, managing director of Excellerate, who listed several patient centric initiatives that staff had come up with when given the chance to do so. She said watching teams brainstorm once they had connected with the power of their purpose was like “releasing the hounds”. Ideas such as volunteering with patient associations, including a patient story in every meeting, and replacing talk of “market share” with “number of patients helped” all came from staff once galvanised with their mission. AbbVie’s head of global patient relations, Amy Nicole Nayar explained: “To improve on patient centricity… we need colleagues to reconnect to a sense of purpose in their work. Giving staff the opportunity to show how much they care might also go some way to solving the trust issue. The survey, which was carried out worldwide between July and November last year, found that just 36 per cent of the patients who took part had “quite a bit” or “a lot” of trust in the industry. This was highlighted by a disparity between how well employees believed they were doing on patient centricity, and what the patients themselves thought. Both groups were asked to rank the industry’s success across ten metrics. Across all of them, patients rated pharma lower than employees. While 64 per cent of employees said they “listen and respond to patient feedback with respect and humility,” just 38 per cent of patients agreed. Almost two thirds of employees, 62 per cent, said they provided “access to support programs and resources to help improve quality of life,” compared to 41 per cent of patients. Less than half of patients, 43 per cent, said the industry communicated with “care and compassion” and provided “unbiased information on diseases, treatment options and available resources.” By contrast, 72 per cent of employees thought that they did. “These results tell us that we can get better – better at understanding patients, better at doing our work in collaboration with them, and better at communicating in a way that resonates with them,” said Ms. Nayar. Quite simply, there is still work to be done if true patient centricity is to be reached. Commitment to patient care is not only sincere, it’s also business critical — better patient outcomes lead to better business outcomes, as 85 per cent of surveyed employees agreed. “In this world we are now operating in, you can’t possibly be profitable if you don’t have patients at the centre of what you are doing. It’s not a sustainable business model,” said Dr Julie Gerberding, executive vice president and chief patient officer at Merck. There is still a way to go, and the road may be long, but the people-powered journey to patient centricity is essential travel for the pharmaceutical industry of the future. The Path to Patient Centricity: Closing the ‘How’ Gap. Published 3 September 2018. Available at https://www.ipsos.com/ipsos-mori/en-uk/path-patient-centricity-closing-how-gap [Accessed 18 September 2018].